Coldwell Banker Select Wins #1 in the State of Nevada! To help celebrate this accomplishment, we encourage all of Coldwell Banker Select to use the “#1 In The State of Nevada” icon in future marketing materials! You can download both sizes here by right-clicking on the image and clicking “Save Image As”. 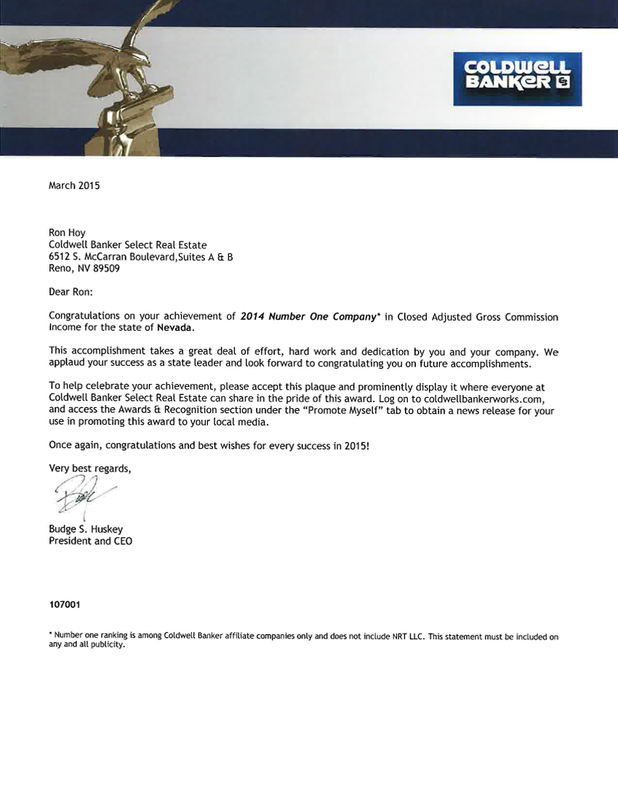 See our award letter from the Coldwell Banker President and CEO, Budge Huskey, below!